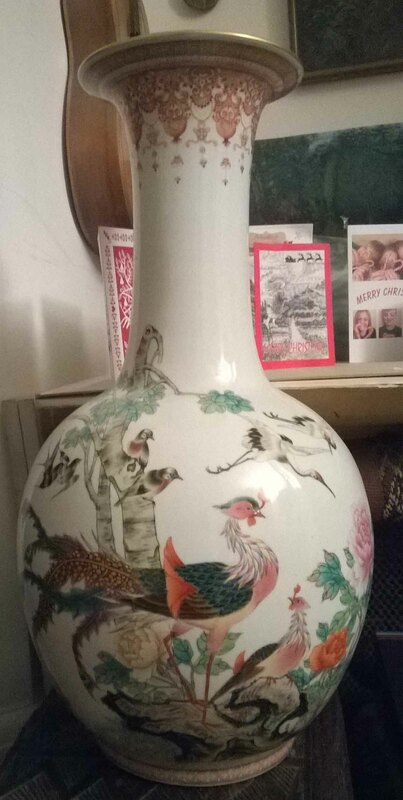 Hi, this phoenix vase is about 56 cm tall, I think it is probably 20th century or possibly late 19th. I'd be very interested to know more about the inscription and seals. From memory the mark on the base is Chien Lung but not period. 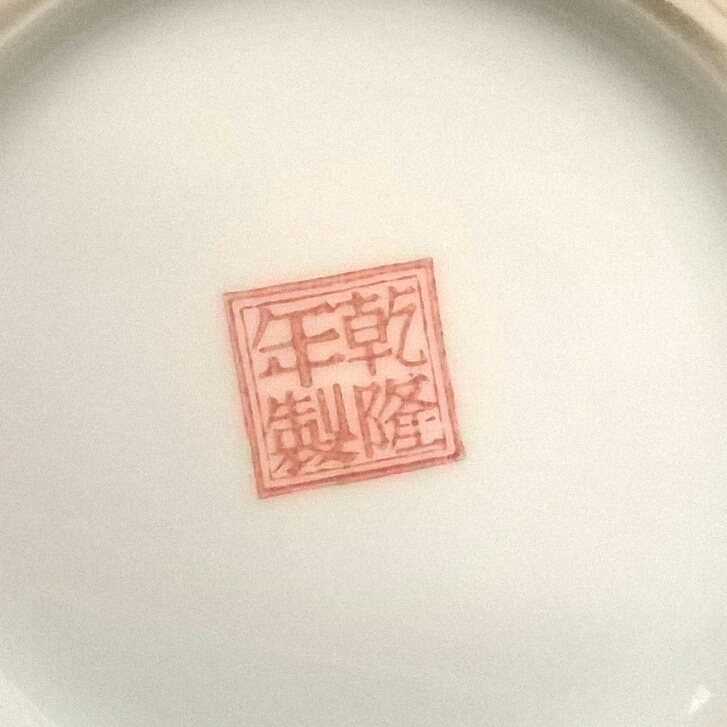 The gotheborg.com website gives a dating of 1990-95 for vases with this four-character mark of "Made during the Qianlong Reign" (乾隆年製 - Qianlong Nian Zhi). The pattern is called "One Hundred Birds Admiring (or worshiping) the Phoenix". The quality is good. 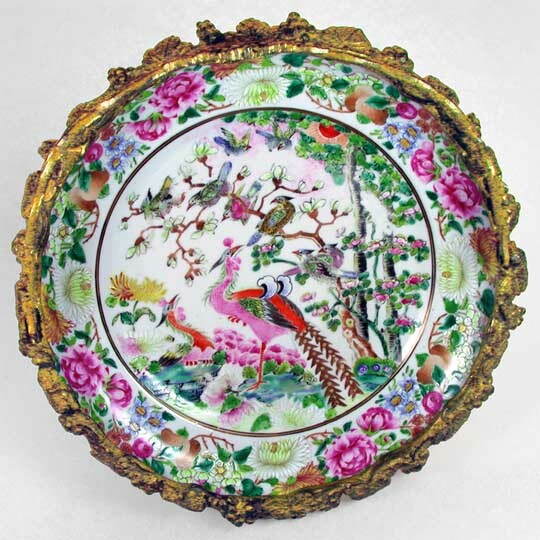 For comparison, here are images of an 8-inch Chinese Daoguang-era (1821-50) plate clad with French gilt ormolu, and a 17-inch high, circa 1860 vase in the same pattern. Each has more or less subtle differences in its interpretation of the mythical phoenix, with the vase being closer to yours. In 2005, an identical vase was sold at auction by Christies in the UK for a pound sterling amount equivalent at the time to US$6000.00. Thanks again Bill. Sorry, I mistakenly attached the wrong mark. This is the actual mark on the base. 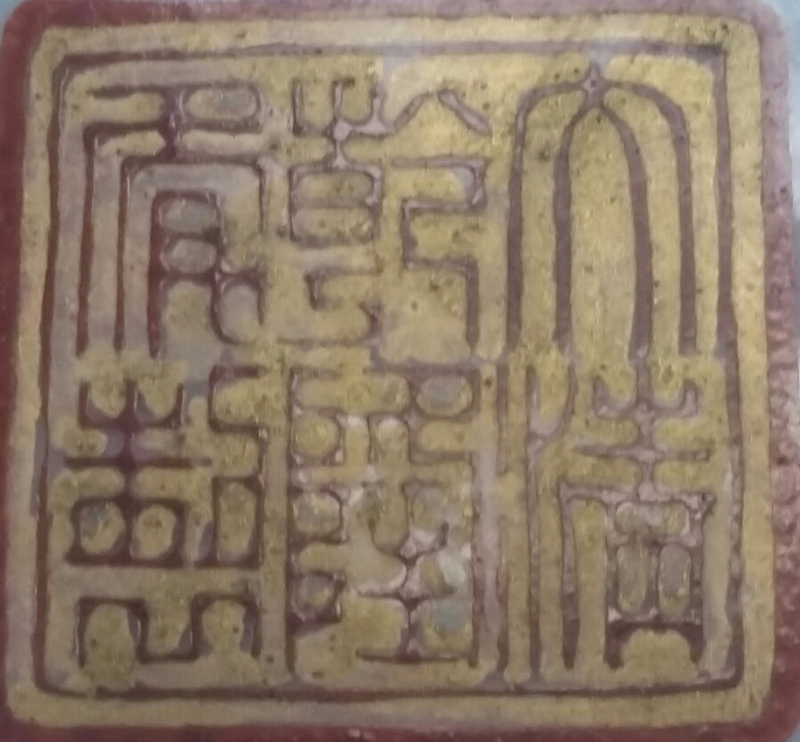 This is just another permutation of a faux Qianlong mark, reading "Made during the Qianlong Reign of the Great Qing Dynasty" (Da qing Qian-long nian zhi - 大清乾隆年製). 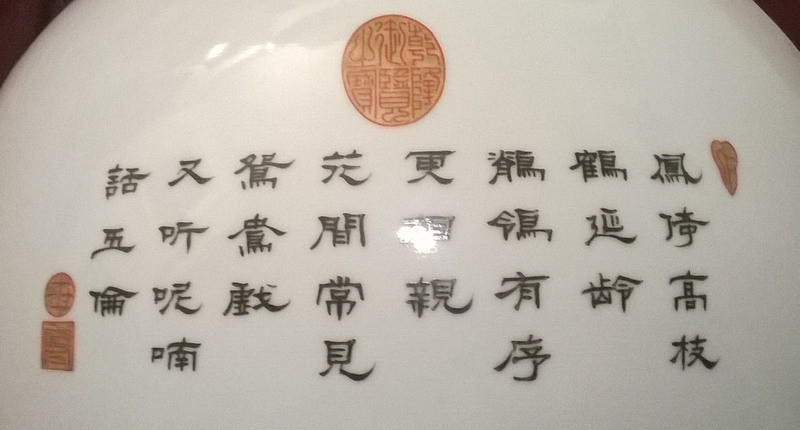 The gotheborg.com website shows several Qianlong marks where the first character "Da/大" has sloping shoulders, as on your vase. All of them are dated 1950 or later. One mark with a gilt ground but a "Da" with squared shoulders is dated to the 1940s. I would speculate that what looks like it may be remnants of gilt ground in your mark could indicate your vase was made early in the 1950s. Thanks Bill, I've had a look at Gotheborg and what you say absolutely checks out. The mark does have gilding in and around it. 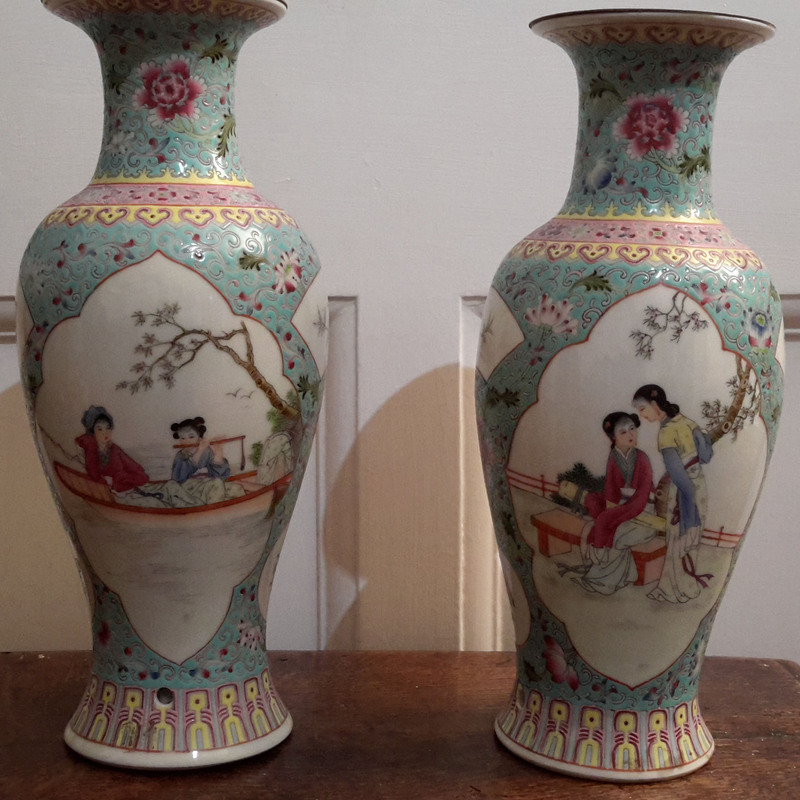 The 1990s mark is on this pair of lampbases. I have another vase which I think is republic or later, also with a red and gilt mark, which I will post separately.